7Solutions India is a leading provider of precast embedment plans detailing services company. We have skilled and experienced precast detailers who produce a fast, cost effective, accurate precast embedment plans detailing drawings for professional engineers, builders and construction Industry. We take pride in establishing a long term partnership with our worldwide clients by offering high quality precast embedment plans detailing and drawings that's on time and within budget. The precast embedment plans secure the structure to prevent movement or to raise the structure if the foundation has shifted or sunk. 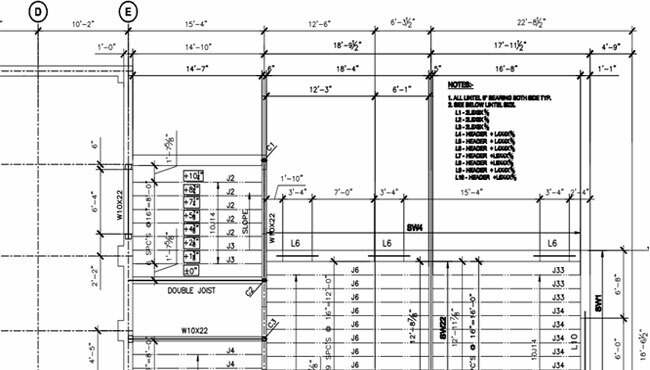 The design engineer chooses the right anchor bolt system for the projects. Contact Us or Email: info@7solutionsindia.com for your your precast embedment plans detailing projects. Our team of precast detailers can help you achieve your construction goals.